Scenario 1: The price of milk increases from $3.50 to $4.50 per gallon. That's incorrect. An increase in the price of milk would cause movement along the supply curve; the supply curve does not shift. That's correct. 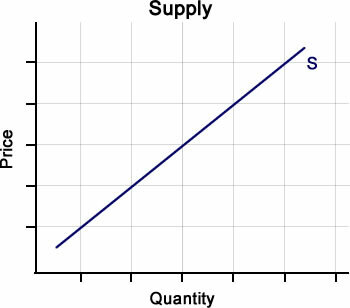 An increase in the price of milk would cause movement along the supply curve; the supply curve does not shift. up the supply curve for milk. down the supply curve for milk. nowhere on the supply curve. That's incorrect. An increase in the price of milk would cause movement up the supply curve. That's correct. An increase in the price of milk would cause movement up the supply curve. a change in quantity supplied. That's incorrect. A change in the price of milk would cause a change in the quantity supplied. That's correct. A change in the price of milk would cause a change in the quantity supplied. 4. Based on Scenario 1, which factor caused the change in the quantity supplied of milk? That's incorrect. The change in the quantity supplied of milk was caused by a change in the price of milk. That's correct The change in the quantity supplied of milk was caused by a change in the price of milk.